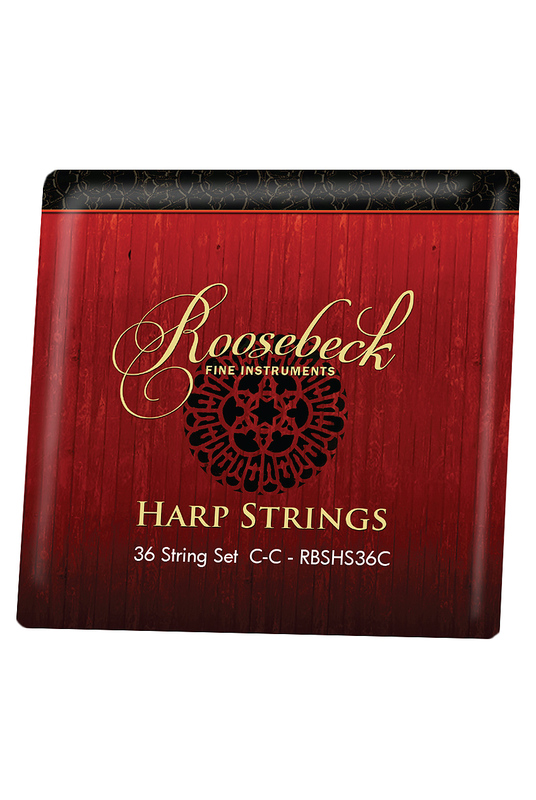 Roosebeck Harp 36 String Set C thru C Color Coded. 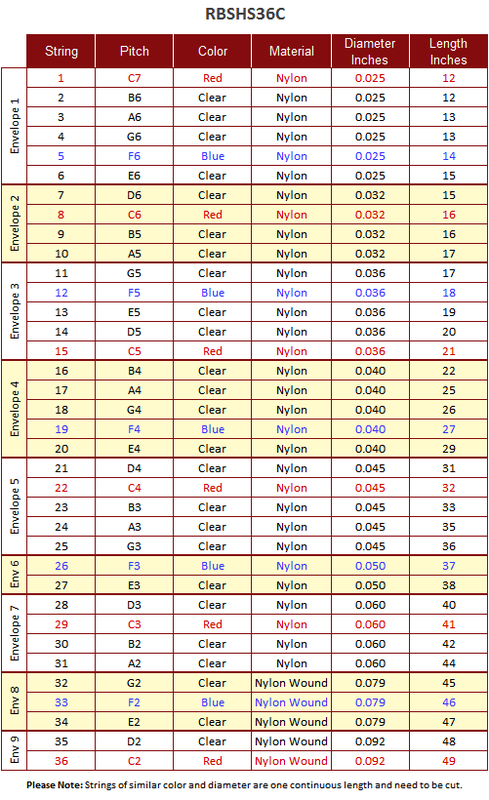 36 DuPont Tynex™ hard nylon monofilament strings of different gauges. Strings are color coded in red, blue and clear to make it easier to play.